The Death of a Parent; Then & Now. The first-hand experience of losing both parents and how to move on from it. Since I started writing my blog, it has been with the key purpose of gaining knowledge through life experiences; expanding my mental (and sometimes physical) capabilities by exploring the unknown and embracing them wholly. Little did I know that my most enlightening challenge would also be the ultimate testament of my character; the death of a 2nd parent, my Mother. Death’s embrace is not selective; on the contrary, its heavy cloak sweeps over the young, the old and the unsuspecting… a kiss we are never prepared for and one we are rarely able to break away from. And so I find myself in the shadow of its latest victim, one I was not prepared for it to steal away so abruptly. We are naive to believe we are EVER prepared for it. Only weeks before the night of Death’s visit, I had already been reflecting on mortality and it seemed as though I had left the door ajar. Death was a familiar friend, taking my Father barely a week before my sixteenth birthday, which would inevitably leave an imprint on my future decisions and paths that although would pain me greatly would also provide me with valuable insight traditionally known later in years. By comparing experiences, I have found myself become my own psychological study in understanding the grieving process so I hope this provides some comfort to those bereaved as well as educate curious souls. My purpose is not to sadden the reader or encourage pity, I abhor the very notion. It is simply to provide another insight into a subject matter that many of us fear to tread, perhaps to preserve some element of innocence (or ignorance) within ourselves. From personal experience (something never to be scoffed at. It is an abomination when people talk about anything solely as a spectator, never having lived it themselves and casually casting judgement as eloquently as a bourgeois politician) I cannot agree with withholding any truths, even on the basis of politeness in some cases. Life is NOT difficult; it is merely what we each make of the hurdles we are presented with crossing. Some can overcome, some cannot, but with encouraged understanding some can ‘attempt’ to rise to the challenge and if I can at least bolster your spirit into trying, my writing has completed its objective. The death of my Father has always been a precise memory for me; I had been out with friends for an unimportant daytime distraction and on arrival at home found a note on the door from a neighbour, mentioning my father had had a ‘funny turn’. From marching over to the nearby hospital to going through endless double doors until my Mother’s wailing indicated I had reached the correct area, I was ushered into a room to find a man lying on a bed as though sleeping, whose face was riddled with the onset of rigour mortis from the heart attack that had ultimately killed him. Confusion and mild squeamishness hit me and I left hastily, only with thoughts to gain the comfort of my friends whilst my Mother was being comforted by her own. This was when I truly began to understand the meaning of friendship and gaining comfort from those around you; one half of my family had died yet no consolation comes from teenagers. The following 2 weeks before the funeral was a blur of black outfits and tear stained faces, mixed with the occasional interaction of ignorant teenagers, one of which was myself. Having never experienced death before (aside from seeing my mother sobbing uncontrollably after receiving the call about my grandfather’s death. She was even more upset that she could not make the trip to the Philippines for the funeral), the impact Dad’s departure had on our lives was immense and imbalanced everything. Mother was devastated of course, and went through phases of high criticism of my outward display of emotion to occasional ‘Let’s end it all’ suggestions whilst driving the car. She had lost her ally, her lover and the man who completed her picture of a perfect family. It was just her and I now. The lead up to the funeral itself was saturated with prayer and Church attendance. Even with a deeply Catholic upbringing, I was not prepared for the mourning period and 9 days of a Novena. This rosary based ritual was paid daily to a shrine for my Father, with a large gathering of my Mother’s Filipino clan who although mainly there to alleviate my Mother’s loneliness with their strong personalities and Tagalog tongues, were considered brash and alienating to my unfamiliar eyes and ears. My only contribution to the funeral arrangements was delivering the eulogy and playing my Father’s favourite Operatic piece La Traviata on the piano. I remember my disdain at the filming of the funeral, a sad morning captured for posterity that I did not care to remember but remained an unhealthy keepsake for my mother. Choosing the plot in a cemetery to bury my father and attending a dance festival within the same week are clearly contrasting events and to this day I am not sure how I managed to partake in either however to the unsuspecting souls around me, I was riddled with pain and anxiety which I always tried to suppress. My Mother did not understand me, her cultural as well as religious background was heavy with judgement and my way of grieving was chastised; I was ‘cold’ and uncaring because I did not cry on cue. I would simply hang my head and try to be resilient to the judging eyes around me, but what else could I do? Looking back on my former self I simply had no outlet for my grief. Friends did not know what to say or words to console, I had no other family in the country to turn to aside from my mother who was beset with such intense grief that it was easier to remain stoic to be able to function on a daily basis. But based on her reactions, I made the decision that when the adult age of 18 arrived, I would move out and rent my own place. I had to do this. At the time it was considered selfish and inconsiderate to leave my Mother to live alone, however I felt it was the only thing I COULD do to reclaim some sense of myself and to focus on the task at hand; to LIVE life. My home had become a museum to my Father, even down to his toiletries on the top bathroom shelf. The air was unhealthy and my Mother’s sadness infiltrated every room. Work was her distraction, her escape from this unchanging environment so perhaps that spurred me on further to make distractions, by my own choice, for myself. Had I stayed, I felt I would have suffocated from the perpetual presence of Dad, not in physical form but in all else, so I left as soon as I could. I had always craved family companions through childhood, but unlike my English peers, this family time always came at the price of a plane ticket, and only at intermittent times throughout the year. So being alone was not unusual for me, on the contrary, I quite enjoyed the freedom to just be with my thoughts, with no expectation from others. My own self prescribed methods for healing and self-improvement took time but through many more unplanned life experiences, I got to a place mentally that was positive, looking to pursue everything with gusto, to learn more about life on a more spiritual level, all of which educated me in how to remain in the land of the living. With this precious education, I was then to be seized in the grip of another death that has been my ultimate test in coping with my own sense of being alone. For the past 17 years, I have watched my Mother vary in temperament. Age softened her to a degree however I was always very aware of the constant sadness she retained since my Father’s passing. The weekend I visited her due to a distressing conversation on the phone, when I had become acutely aware that her ‘chest infection’ was more serious than initially thought, I had no idea would be our last reunion. Over 48 hours in a hospital, I took time to stay by her side and tidy up her home, the eternal museum still thick with the air of grief. Medical professionals varied their reports of her hospital stay to a few days to then weeks, always with an element of possible rehabilitation which held a glimmer of hope for me. But that Sunday evening, I was finally provided with a concrete answer that she would not survive the pneumonia that had viciously taken over her body. To be told that your Mother will die struck me with some relief for her release from the mortal prison that consumed her, followed by unbelievable shock that we would never spend dinners or days out ever again. A friend had come down to the hospital to be with me in the final hours, amidst the gaggle of my Mother’s friends that perhaps knew sooner than I did that the end was near. The emotional trauma clouded my mind and the need to be outside was overwhelming so we went to a communal space where I could gather my thoughts. I sobbed exhaustedly, letting the news echo in my head hoping that every tear would ease the sharp pain of my heart breaking. I had also had to be the messenger to my family; my cousins, Aunts and friends were continuously updated throughout this time so I had to repeat this tragedy and the reasons why she died over and over again. I had only the welcome arms of my friends to hold me and remind me that she was in a better place, with my Father, all of which I knew was what she wanted since the day he died. 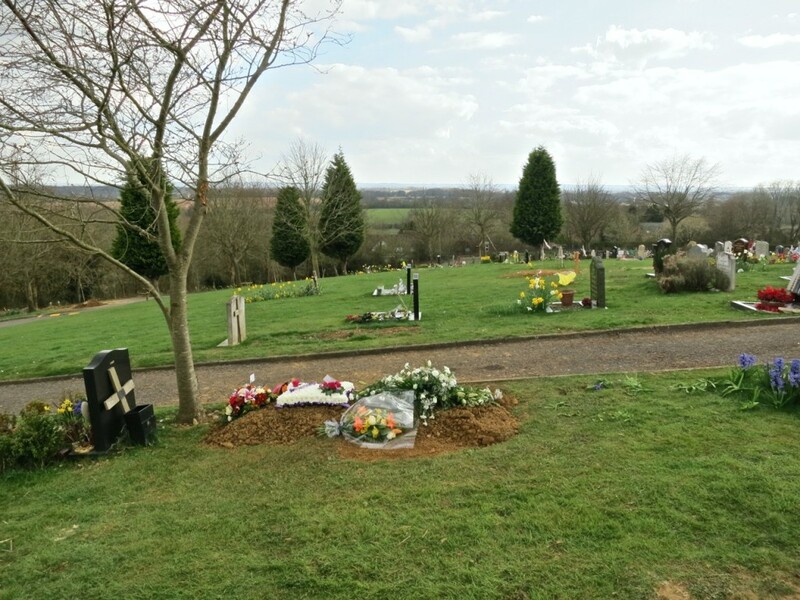 Although relatively composed, I had to ensure I did not buckle as I now had a huge task to complete, an event planning situation that I begrudgingly had to deal with; the funeral of my Mother. The impact of a close parent’s departure from this life is like that of an atomic bomb, with the dust clouds swirling around at such velocity, enrobing you with an almost suffocating list of things to do (your own grief being at the bottom of the list); the house had to be cleared of over thirty years of memories; banks, utilities, workplaces… all have to be notified of the death and no action can take place until the death is certified and this piece of paper with confirmation of a person no longer alive is presented. The body had to be moved from hospital to funeral home, papers need signing and a requiem mass had to be planned with all direction stemming solely from me. The responsibilities are enormous and whilst the desire to curl up in bed and weep for hours is on an almost desperate level, you cannot succumb as work has to be done and within a limited time frame (2 weeks from death). Activities such as eating, sleeping and talking are merely details that need to be carried out to maintain the strength to put a foot forward, albeit unwantedly. Sunglasses were a permanent presence on my face, not only due to sensitivity from the light of day but to lessen enquiries into my well-being, something unavoidable when seeing the intense pain in my eyes. Slowly but surely though, progress is made, the death is recorded and the questions reduce. The arrival of a few family members helped with the emotional trauma as blood relatives can partake in nostalgia, liberating fond stories from memory to assist the mourning period. However it does not relinquish responsibilities, so I continued day by day being immersed in paperwork, receiving visitors paying condolence (always in shock as they had ‘just’ seen or spoken to Mum the week before) and various people reminding me of something I had to do next. Two aspects of all these affairs though were highly cathartic, both involving writing. This was a vocation I had finally embraced in adulthood; how to release the internal narrative in written form to articulate what I could not always say through spoken word. I penned a poem which my friend, the darling Emilia was able to make into a song, with her own celestial voice intertwined with the equally darling Alice (a proper recording of the song will be posted on my blog at a later date). The eulogy was written a few days after which would provide pretext before the song could be performed. The day of the funeral instills a surreal, dream-like sensation of existence. 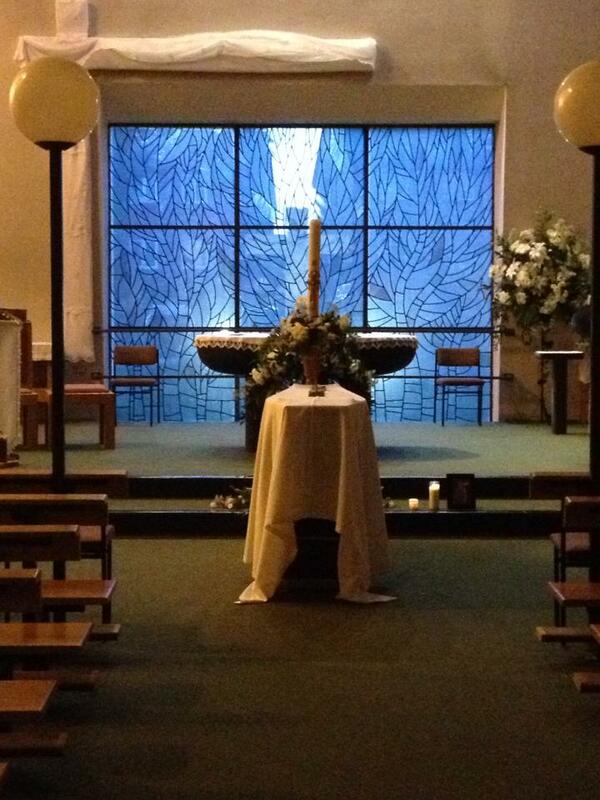 This was my 2nd funeral in two days though, in the confines of the same church. The previous day I had witnessed the family and friends of Santos Rabasto go through the same motions, the man my mother had been friends with for 30 years and had sadly died the week before her. These 2 friends were unexpectedly intertwined even in death, even as far as being positioned in adjoining rooms at the funeral parlour. His funeral was Part 1 of the Final Act and all the planning and hard work was coming to fruition. So many people from this enormous Catholic community in a sleepy Surrey town had worked together, purely to ensure my Mother had a glorious memorial in the church she so loved, with the congregation she always helped unconditionally, from offering a lift to visiting its sick. The outpour of stories I heard about my Mother were inspiring, my Aunt even proposed she was a present day Mother Teresa and after years of dedicating her life to others, she would now be allowed to rest. Reading the eulogy on the same spot where I had delivered one previously, all those years ago, I was somewhat shaken but nonetheless determined to remind everyone of the message that through recognising my Mother’s life, we must never lose sight of living our own, to live a GOOD life. The end was in sight with the impending burial, allowing family and close friends to stand around the hole in the ground that the pall-bearers bear such commendable respect to. This time it was different though as it was another coffin being added to an already well inhabited grave. There was no sense of isolation or inconceivable patterns of thought; I was standing there feeling so close to both my parents and extremely wistful that they were now bound together within the earth’s soil. There is much to be said about all the details when dealing with a death and if I happen to know you, I encourage you to enquire as it is impossible to record everything down without pondering the writing of a book (and I dare say this will happen in future). Until that point, I can honestly say that life from my Father’s and up until the day of my Mother’s departure taught me everything I know and for all those experiences, even the more painful ones, I would not alter a thing. I feel an even greater desire to pursue life and unfold its possibilities, my dear Mama serving as a reminder that our mortal coil can be thwarted when we least expect it. An army of caring hearts had contributed and ultimately kept my strength from failing; the hospital staff with their relentless desire to keep trying, the friends and family who swooped around to guide and whisper words of consolation when needed and the church community who unconditionally kept giving, through word and action, even to an irregular visitor like myself. I am in dumbfounded awe at the wondrous demonstration of humanity that I have had the privilege of being at the centre of these past few weeks, such fine examples are incomparable and serve only as reminders that there is good in each and every one of us (we just have to drag it out to air once in a while). At the wake I had the misfortune of being on the reciprocal end of some hurtful (perhaps spouted from concern rather than judgement) comments that I am now ‘alone’ and that it’s ‘just me’ now, however I have actually never felt more UN-alone since the night Mum died. Through the staggering support from friends and family that I have had, from afar via social networks to even a dear friend taking a flight from Hamburg to be by my side and hold my hand when I needed it, I feel even more connected to this temporary home we call Earth. As is the case with all speculative experiences, I cannot truly comment on what the future holds, whether I will shed tears at unpredictable moments or if my pensive silences will linger longer than usual. All I know is that I am now watched over by not just one but two loving parents and the comfort that brings with venturing further forward is unquestionable.